The Blissfield women’s varsity basketball team made the Coming Home celebrations a little more special Friday night, Feb. 15, as they defeated the rival Onsted Wildcats 57-46. 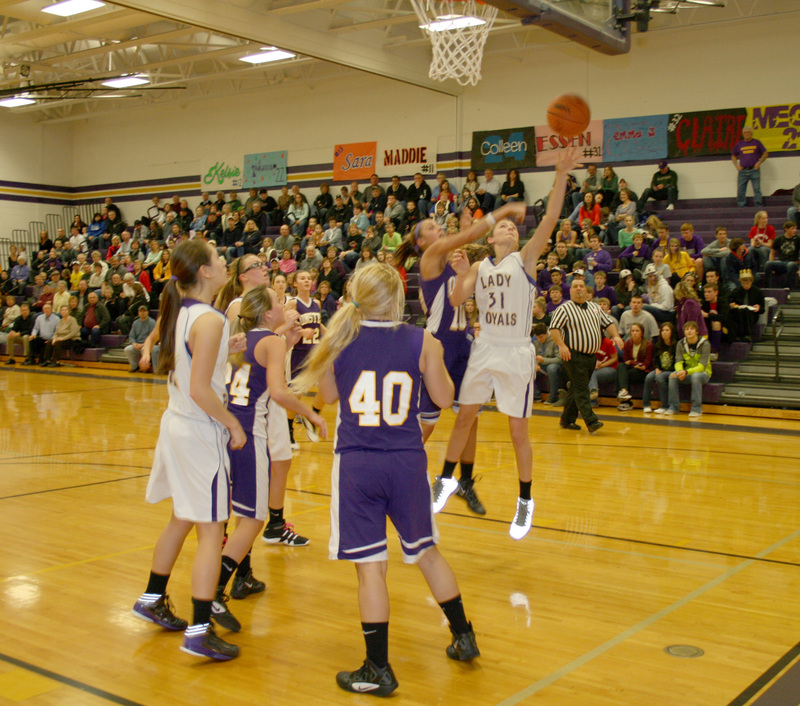 The Lady Royals used the packed house at Blissfield as an opportunity to avenge its 49-36 loss to Onsted Jan. 18. DEERFIELD — It was a first for the Britton Deerfield women’s basketball program Friday evening. They were playing for a share of a Tri-County Championship. The Patriots ultimately fell to the Trojans 48-37 but not without a good fight. The Patriots took a lot of momentum into the Madison game by defeating Sand Creek 75-53. WHITEFORD — After a poor performance on Tuesday, the Lady Bobcats of Whiteford bounced back and played their best game of the season by defeating Clinton 66-36 Friday evening. They lost to Madison Tuesday night, Feb. 12.